Feel free to share your earnings per download. It's one of the Shutterstock stats I track. I'm interested. Divide your lifetime earnings by lifetime downloads. Mine is USD $0.662. #AlamyPicNeeds: Australian A-League soccer #stockphotography". I don't know though, do customers really request all this australian images or do they just want to fill the gap. Mine is very similar about $0.67 for photos. If anything trending up which seems contrary to what many are reporting. Mine is 0.79, although I don't know what it tells us? BTW - very nice travel shots, Anna. You have been around the world I see! Like about 95% of the stats you can get about microstock from the sites I don't think it tells you anything that you could actually do anything with! Yes a deep analytics program that could pull that sort of data and provide some trends would be good. In the meantime, I did become interested in what my numbers looked like for photos and videos. Photos are $0.76, videos $19.80. Now if only I could make my photo number get closer to the video number! I know what this can be used for - an advertising pitch. "Buy my book and you too can have numbers like me..."
One's numbers will also be affected by when they started and how much they sold early on when subs were .20, and OD's and SOD's and EL's hadn't been invented yet. Minus Video Stats (I have no reference for that). Here's a brief history of SS royalties. This will largely depend when you started, in 2006 it was only .26c. It is closer to 75c now, so old timers will have their average dragged down by downloads in those early years. Hopefully things will improve by then end of the year. why are you still submitting with such low performance compared to 99% of others that make a lot more? Have you thought about training or purchasing one of the microstock books to get better? Also you might consider taking a free art course at a local high school? Most likely you have never taken any art courses in your life thus don't understand composition or contrast like alone 2D or 3D dimensions. That was interesting. I never collected all the changes, but I knew there have been some. I started in 2007 but honest uploads 2008 (total crapstock! ), had files in the hundreds (amazing lack of effort) until 2012 when I added a couple thousand and 2015 a couple thousand more. I'm at 4482 now and upload when I get an idea or the urge. I will say that better images, make more and the junk or filler is still a waste of time. How's that? Oldest 100, which is pretty much first 100 = .48 lifetime RPD average, Newest 160 2018 .82 but wait a year. What I'm hoping is that I'm smarter and make images that sell better, than the first year when I shot everything I saw. My Illustrations, my blurred backgrounds, other ideas that I did test sets of say 50-70 works = .50 average (my illustrations are terrible rasters, don't waste time looking) there are others that I just skip now. I think everyone's number will be similar. Most are somewhere between .60 -.70. You'll get a better variance with RPI. Do I want more variance for some reason? Not sure if you are saying, this would show the quality of my work, which is quite variable, as are the types and subjects, or what RPI means to the group as a whole? If you mean to compare, for example, your RPI to mine, yes, I'd say that would be interesting. I'd bet yours is better. RPI on its own is totally meaningless ROI is what really matters ;-). Of course but honest how would I break that down. Travel, lodging, cameras, lenses in / lenses sold, cameras that self destructed, computers, accessories, software. Oh I get it, ROI if all was just Microstock, would be a negative number. Your question is well based though for anyone who imagines that this is a business. Track everything. Honestly speaking time is free, unless someone is missing paying work to do Micro. Then find total income MINUS total expenses and there you have it = profit. I liked Minsc's question so I looked at sets on SS. I chose that rather than all images, because I have such a mix of subjects and ideas, some misguided. Triple cheeseburger, RPI .12 (message is, that's a bad idea) Different set $2.12 (of course I'm not telling! ), Oldest 100 $3.51, (but there's on top ten in there), Blurred Background .27 (your results might be better? ), 2018 - .29 (includes some former rejects from the archives), An Idea I had in 2013 - $25.66 no I didn't add more and dilute my earnings, but maybe that would change the RPI too. But while RPI can be useful it can also be a false indicator. The last one I have under 20 images that make that $25 RPI, another I have thousands of images that make a .54 RPI. BIG Letter acronyms are nice but bottom line, or more like Net Income for us as this isn't literally investment, is the answer. How much did I really make, not RPI, RPD and mostly statistics that only apply to my work, not yours or someone else's. If we were all shooting the same sliced vegetables, OK, that might be interesting. We aren't. I have photos that no one else here or anywhere have. Yes, honest one of a kind, news, historic that are impossible to duplicate or re-create. That's an advantage, but also means my RPI or RPD isn't yours. 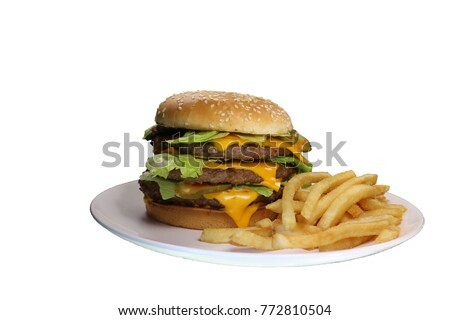 I have others that anyone here wouldn't want to recreate, like triple cheeseburgers with fries. What I mean is, bottom line, net income is the end. All the rest is amusement for the most part. My "Investment" would be anything I bought specifically for microstock. When I shot models I included that and the reason I gave it up was precisely that the ROI didn't justify it. My cameras, lenses etc etc I would have bought anyway leaving just some cheap props. Time is harder it should theoretically be valued at your next best earning opportunity so if it were me my time is worthless as I would be taking pictures or doing something non-productive. As its a hobby for me I don't apply the stats seriously if it were a business I absolutely would. The only measure which is useful is profit/loss per image or batch, but that's far more difficult to work out accurately and is over the lifetime of the file. Just knowing return is pretty meaningless as we don't know how much was spent on it. I suspect we often don't want to know, even for files where no 'extra' expenses have been made so it's just time and share of/depreciation of hardware. After two or three years, I can take a look at a certain trip and see if the material produced from that trip outweighed the costs enough. If they generally do, it makes sense to go on more photography trips. Big picture stuff is the only information that is really useful. Of course it's FUN to know the other stuff too, but maybe not really useful.